Snorkel around the virgin bays of Koh Phangan on a 6-hour cruise from Koh Samui. You’ll sail aboard a spacious yacht with a friendly crew to hidden beaches on the unspoiled island, located in the Gulf of Thailand. Relax under a coconut palm or explore the sand bars offshore. Enjoy your day out at sea with a welcome drink and a full brunch buffet featuring Thai dishes. Hotel pickup and drop-off are included. 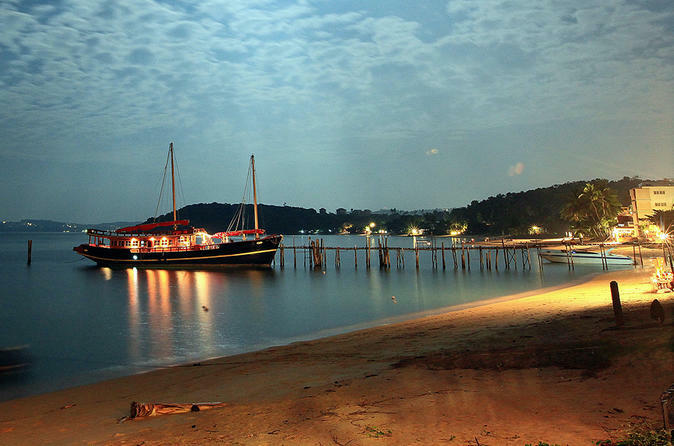 Enjoy a romantic dinner cruise to the small island of Koh Som, located just offshore from Koh Samui. Listen to birdsong while you marvel at the beautiful beach and limestone formations of this pristine island in the Gulf of Thailand. On your return voyage aboard the sailing yacht, experience the tranquil silence of a vivid sunset while you dine on Thai dishes. Hotel pickup and drop-off are included in your 3-hour tour. 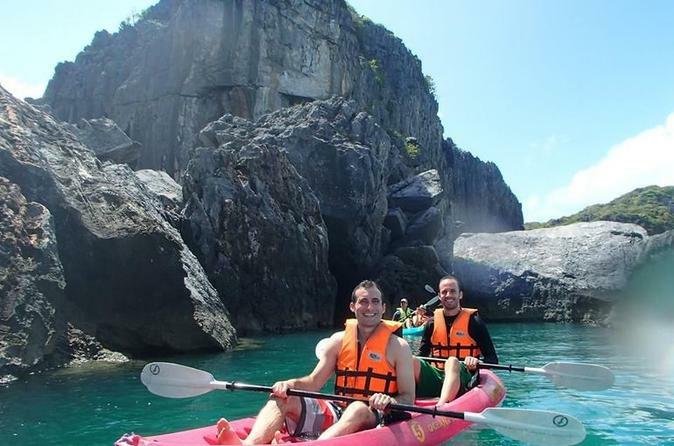 This Koh Samui Island tours is a must! As the name suggests you will go around the island and see a number of the highlights and attractions Koh Samui offers as well as the many beaches which can be seen. The 'Big Buddha' - sitting 15 meters tall is a monumental landmark on the islands north coast, Grandpa and Grandma Rocks, Namuang Waterfall and Nathon town are just a sample of the places you will visit. 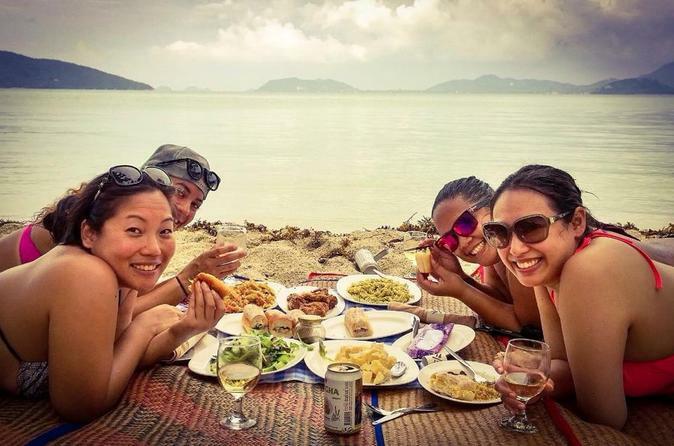 This is the original and most sought after boat trip and beach picnic experience on Koh Samui, Thailand. 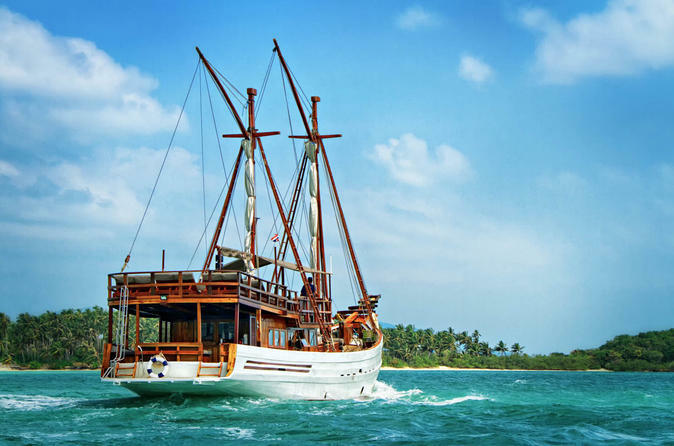 On board a long tail boat, within 15 minutes, you are taken to 2 of the most secluded islands on the south of Koh Samui. First, for a snorkeling and fish feeding experience. Then off to a quiet spot for a rustic beach picnic including delicious Thai or Western food, wines, beers and soft drinks. After which, just total relaxation! 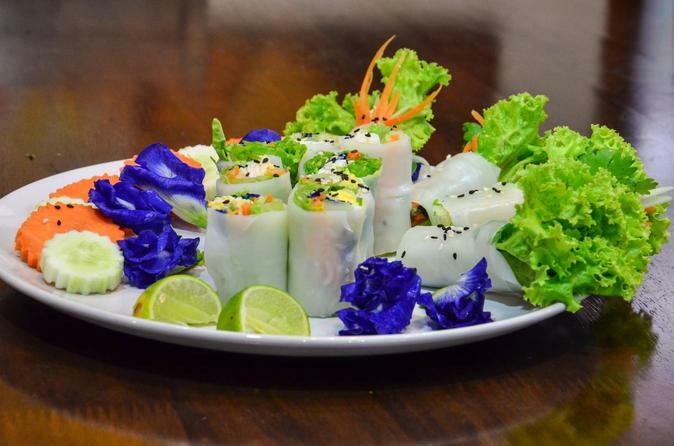 Join this half-day infusion cooking class in Koh Samui with the professional chefs Oane and Stephanie. You will get to learn and cook 3 different dishes (starter, main course and dessert), taste some local light refreshments and beverages. Come and join us and have fun! 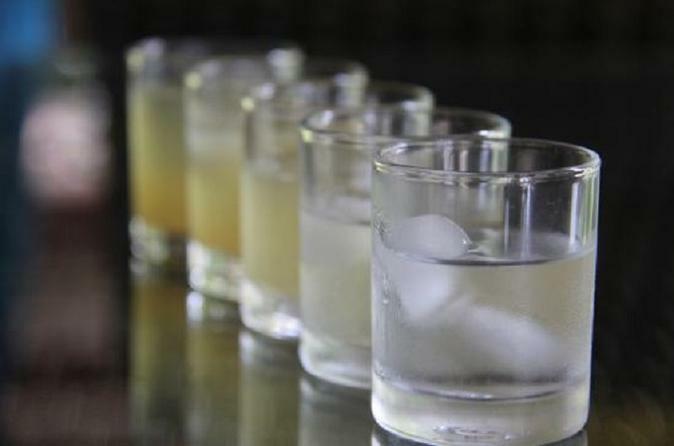 Drinks Tasting Tour in Koh Samui, Thailand offers a very unique experience in exploring the local alcohol produce on the island. Get ready to taste the local rum, Thai wines, locally brewed ales and your very own cocktail mix plus a gourmet lunch you will surely write home about. This is a tour strictly for adults only. 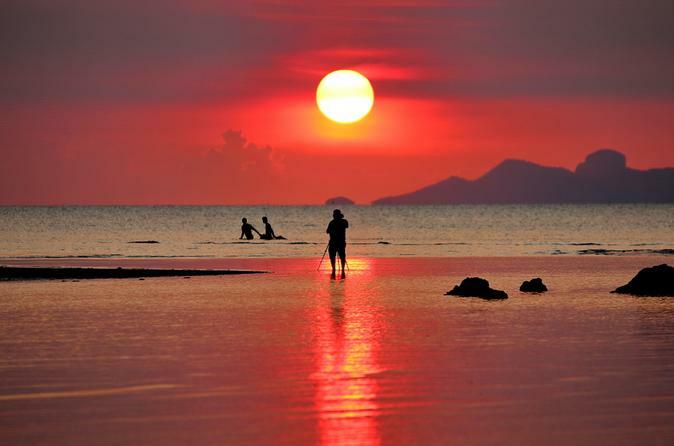 The one and only tour on Koh Samui dedicated to those who have passion for photography. Your day will be spent to take images that you will forever treasure. Designed to bring you to the island’s gem destinations, you will surely store memories of Koh Samui’s cultural wealth. Bring your precious gadget and enhance your photography skill. From the vibrant tourist areas of the north and east coast, to the undeveloped, picturesque southern Islands Koh Matsum and Koh Tan. Enjoy Koh Samui's beautiful scenery while passing the various beaches and bays. Cruising through the Five Islands back to the northern beaches ending unique days with great sunsets.